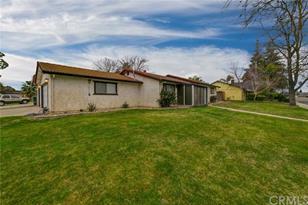 Perfectly located in one of Atwater's established neighborhoods! Sitting on a good size corner lot, this home has lots to fall in love with! Stepping through the front door you are welcomed by cool color tones, tile flooring, and updated wood look tiles! Tons of entertaining space in your large kitchen, opening up to your well lit dining ell, with tall windows & sliding glass doors! Spacious family room with a eye catching brick fireplace! Good size bedrooms, updated hall / bath flooring, and a perfect place to call home! Looking to cool down this summer? Enjoy your nicely covered patio and gated swimming pool! Need more parking or work area? Check out the extra space with the 3 car garage! One of the garage spaces was enclosed from a previous RV port offering lots of extra space! Call and schedule your showing today! 2180 Fay Drive, Atwater, CA 95301 (MLS# MC19034014) is a Single Family property that was sold at $264,000 on April 19, 2019. Want to learn more about 2180 Fay Drive? Do you have questions about finding other Single Family real estate for sale in Atwater? You can browse all Atwater real estate or contact a Coldwell Banker agent to request more information.